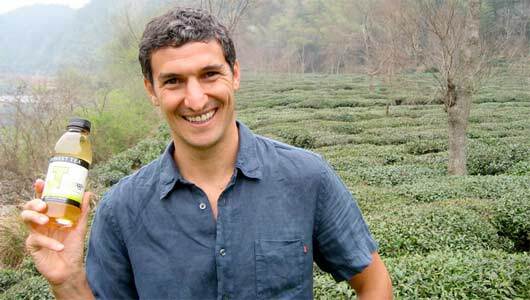 I recently interviewed the “TEO” of Honest Tea, Seth Goldman. A few days later, I received a package with six bottles of Honest Tea and a signed copy of Goldman's book, Mission In A Bottle. Without thinking about the symbolism, I poured a bottle of the Peach White Tea over ice into a Coca-Cola glass and sat down to read the book:fair trade, organic ingredients—distributed by a multi-national corporation. Maybe E.F. “small is beautiful” Schumacher would be surprised. Maybe big can be beautiful, too. Or maybe, as Goldman puts it, we'll always live somewhere in the grey. SG: That's the literal, dictionary definition. But the irony is that here we all operating in a consumer economy. The definition of consume is to devour and destroy. You couldn't get more opposing definitions. To be a business committed to sustainability, yet operating in this contradiction, it's the grey space we all operate in. Some people are more thoughtful and willing to admit that's where they are and others do it without considering it. JF:Do you think Honest Tea will always live in that“shade of grey?” Do you think there's ever a point where you can you say you've moved out of the grey? Julie lives in St. Augustine, Florida and is currently pursuing her MBA in Managing for Sustainability at Marlboro Graduate School in Vermont. She has a background in international development and grassroots organizing and is passionate about equitable wages, labor rights and the global income disparity. If you can't find Julie, don't worry. Grab your board and head south on A1A. She's probably surfing somewhere along Florida's coast.